That's a great try assist by Francois Venter. This is dangerous for the defence as Bryce Heem bursts through to advance the Worcester attack. Slick passing by Worcester leads to a try for Tom Howe. Tom Howe comes on for Worcester. Josh Adams leaves the field. James Lang has hooked the conversion to the right of the posts. Dave Lewis sets up the try. 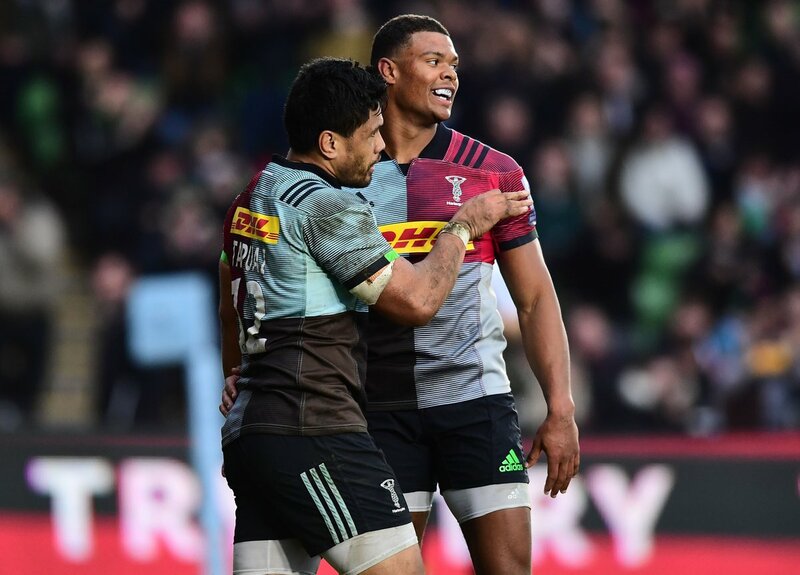 Incisive passing by Harlequins is finished off by James Lang, as he goes over for the try. Chris Pennell converts the try. Ollie Lawrence sets up the try. Silky skills by Worcester ends with a try for Michael Heaney. A gap opened in the defence and Ollie Lawrence took full advantage. 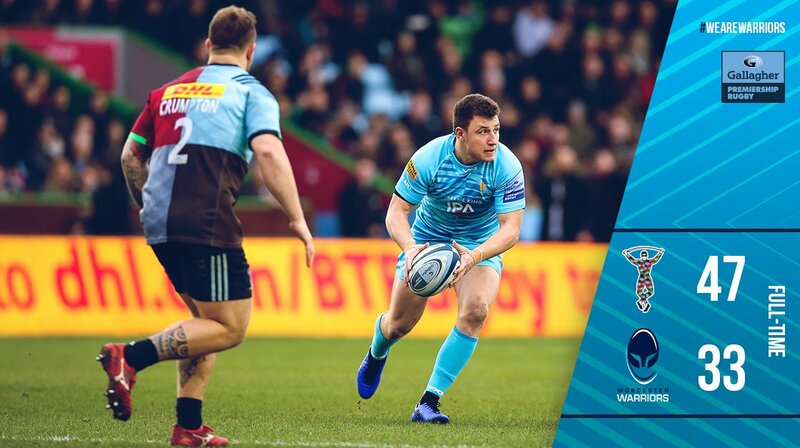 Harlequins decide to make a substitution, with Ben Glynn getting some game time. Harlequins make a substitution with Dave Lewis coming on. 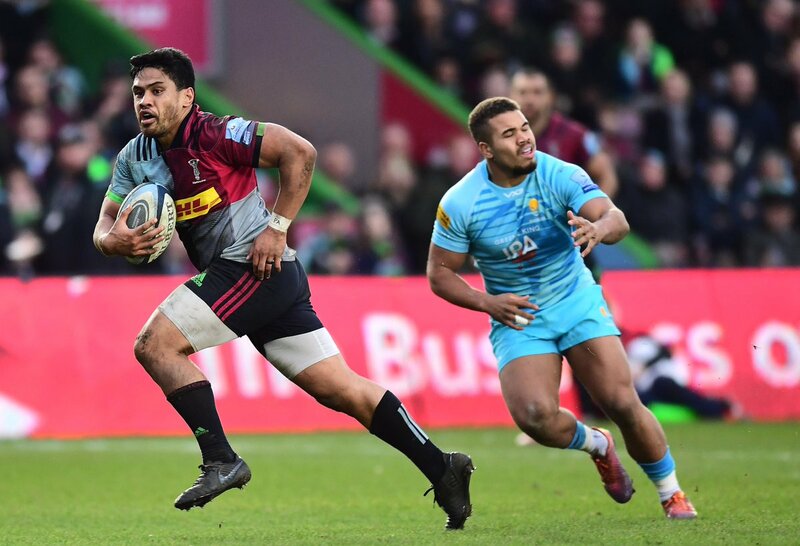 Harlequins make a substitution with Danny Care coming off. The defensive line has been broken as Ben Tapuai goes through the gap. Danny Care sets up the try. 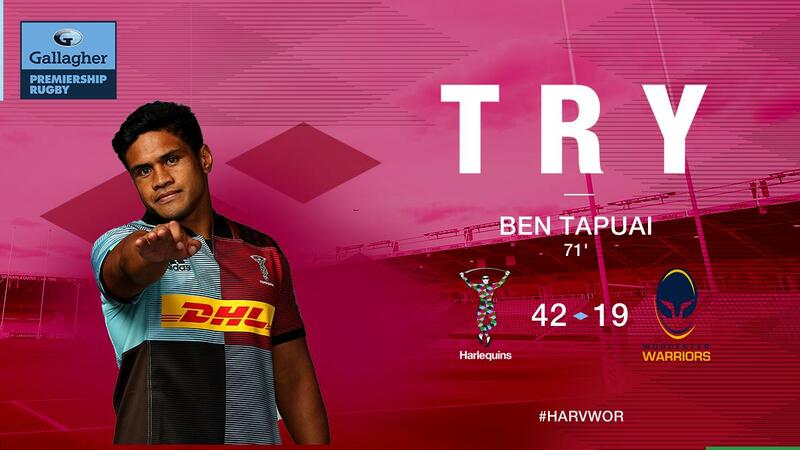 A wonderful passing move by Harlequins is finished off by Ben Tapuai. Worcester have won 100 rucks so far this game. Worcester sub Darren Barry comes onto the field. Anton Bresler departs for Worcester. Sam Lewis sets up the try. What a run here by Sam Lewis as they gets over the gainline!. 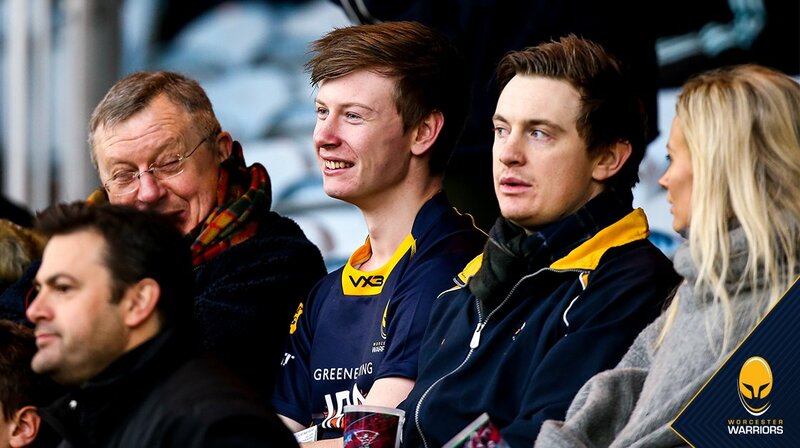 The Worcester supporters go wild as Chris Pennell successfully kicks the conversion. A series of passes by Worcester results in a try for Josh Adams. Ollie Lawrence comes on for Worcester. Duncan Weir leaves the field. Ryan Mills makes the break as the defence re-enacts the parting of the red sea. 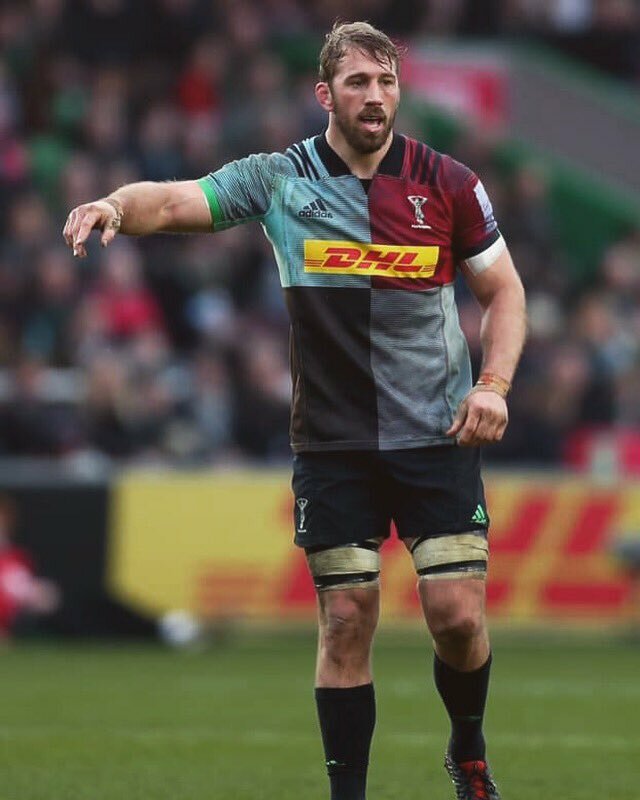 Mike Brown (Harlequins) is shown a yellow card. Gerrit-Jan van Velze comes off. The touch judges raise their flags as James Lang kicks the conversion. Harlequins are only a few metres out, surely they must score! And they do with Danny Care touching down. Will Collier has made 10 good tackles so far this game. Duncan Weir hits the right post with the conversion, failing to add the two points. 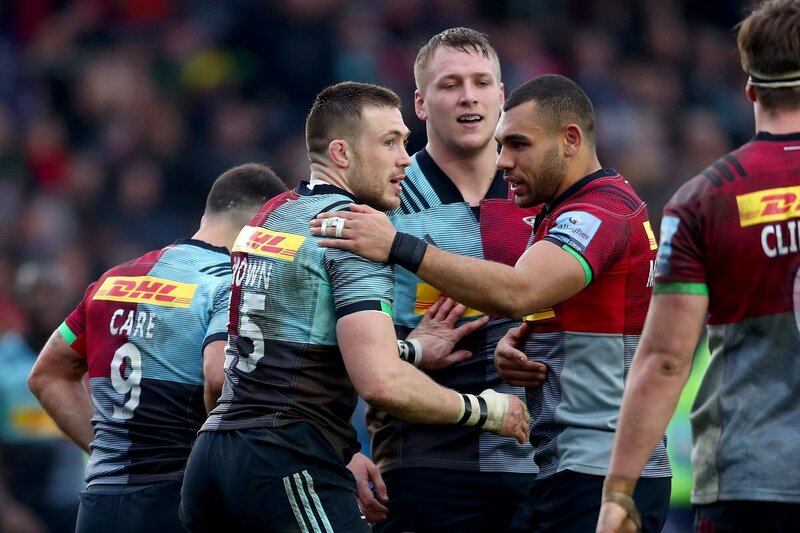 Harlequins make a substitution with Lewis Boyce coming on. 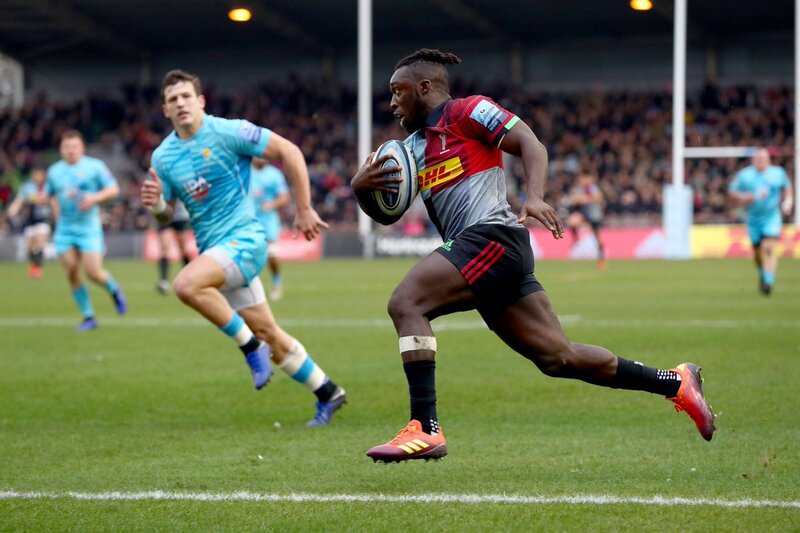 Harlequins make a substitution with Joe Marler coming off. Harlequins sub Dave Ward comes onto the field. 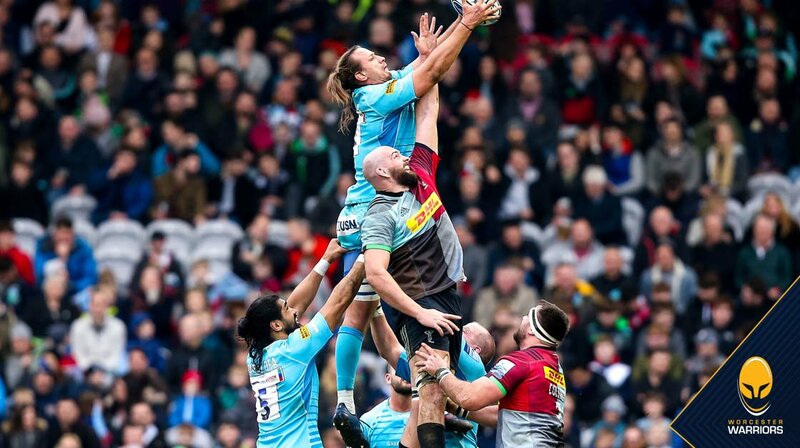 Max Crumpton departs for Harlequins. 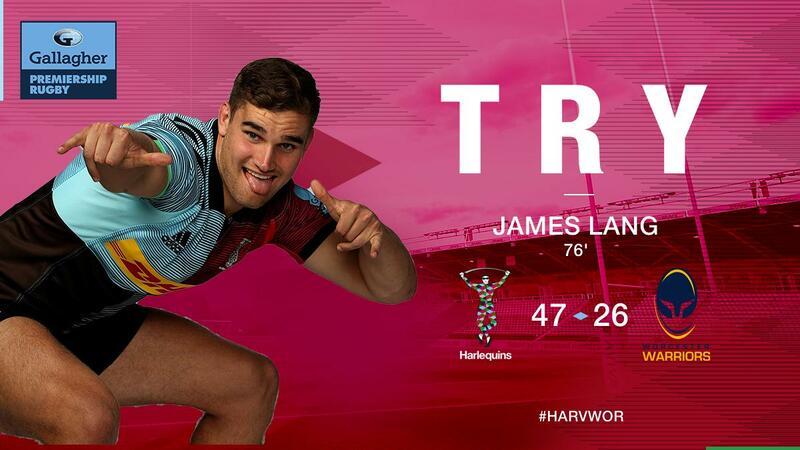 James Lang comes on for Harlequins. Marcus Smith leaves the field. Spellbinding play by Francois Hougaard is finished off with a try. Great hands by Worcester leads to a try for Bryce Heem. Joe Marchant has made 10 good tackles so far this game. Alex Dombrandt has made 10 good tackles so far this game. Joe Marler has made 10 good tackles so far this game. 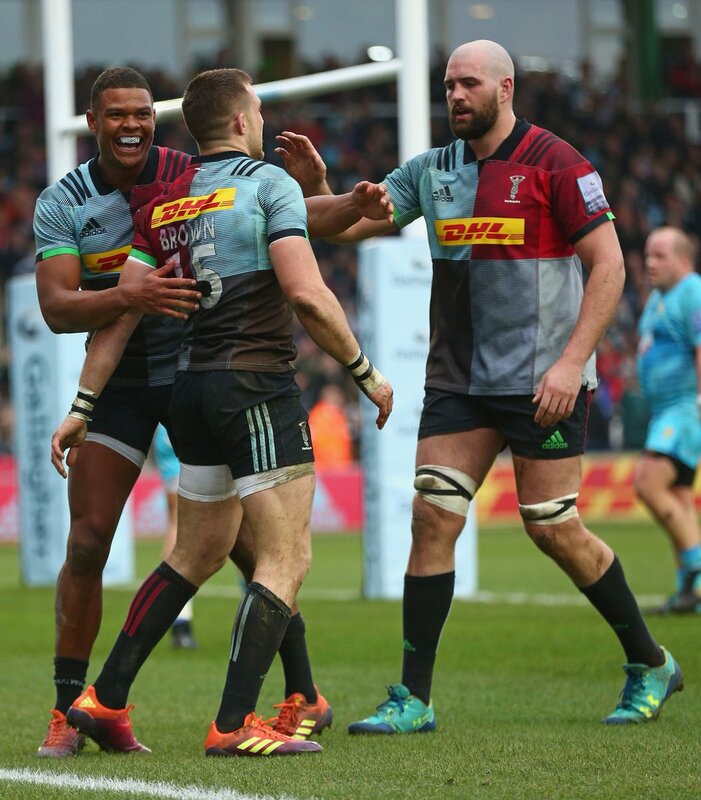 Marcus Smith adds the two points for Harlequins. Mike Brown played a key part in that try. 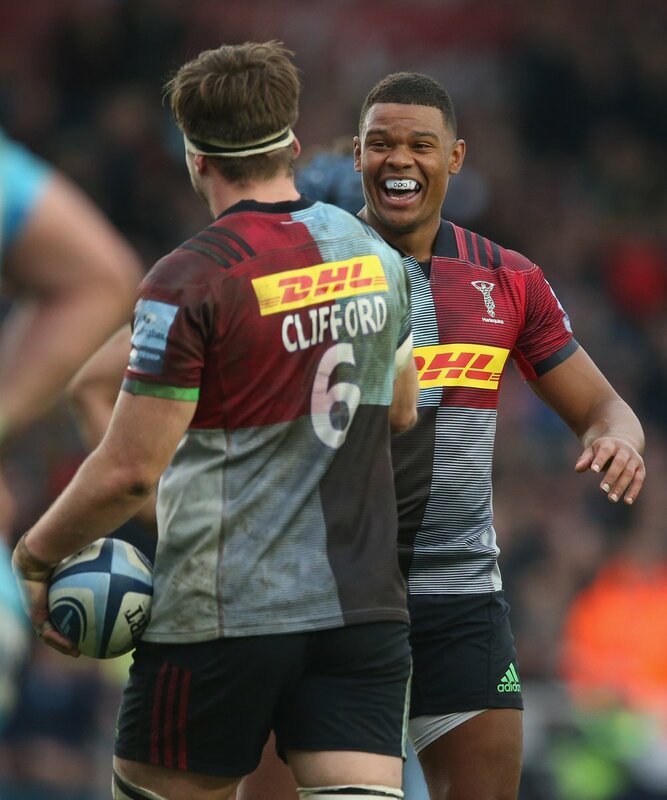 Fabulous play by Harlequins has led to Jack Clifford being able to wriggle through a gap. 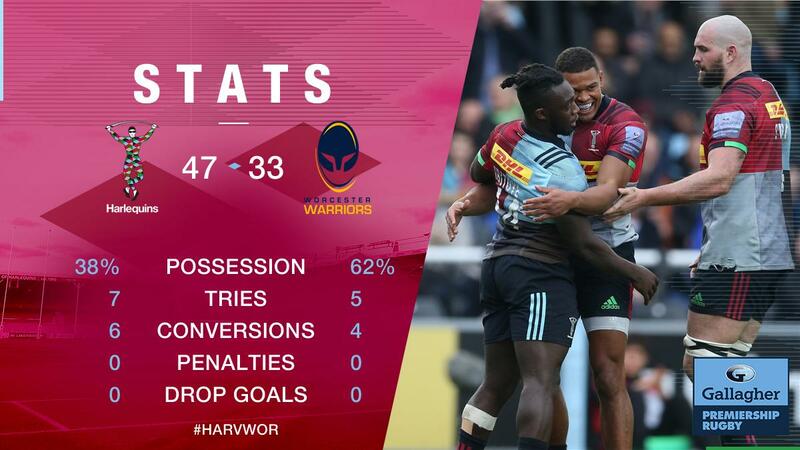 Jack Clifford gathers the kick to score the try for Harlequins. Trouble here as Max Crumpton breaches the defence. The Worcester pack has powered over for Jack Singleton to score the try. Marcus Smith makes no mistake with that conversion attempt. 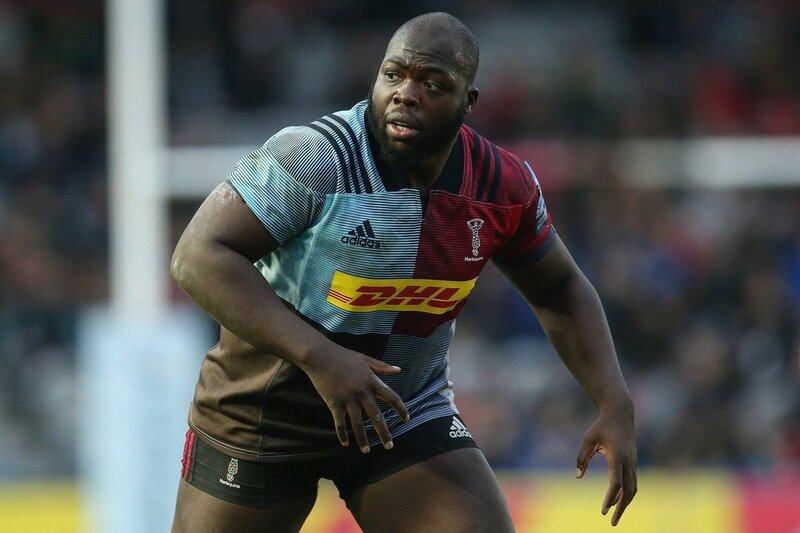 This is dangerous for the defence as Mike Brown bursts through to advance the Harlequins attack. A stunning solo try from Mike Brown. That's a great try assist by Jack Clifford. What a kick! 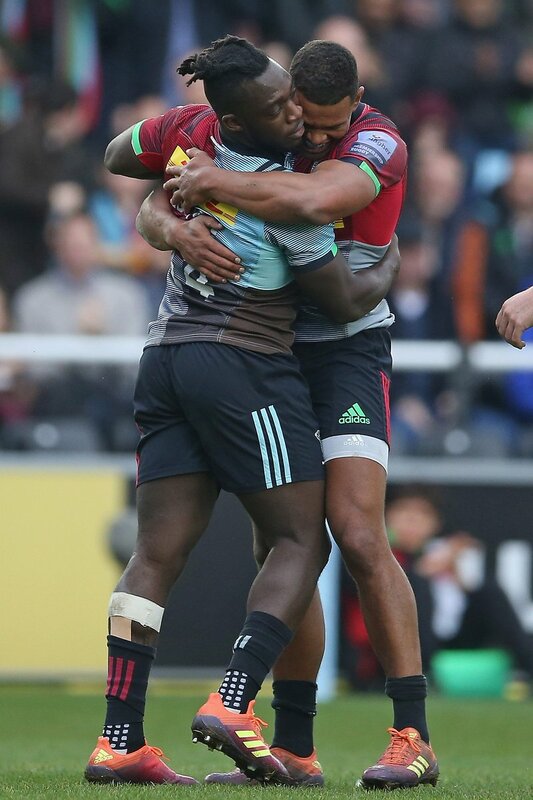 Gabriel Ibitoye takes full advantage to score for Harlequins. Marcus Smith has kicked a conversion. The defensive line has been broken as Joe Marchant goes through the gap. 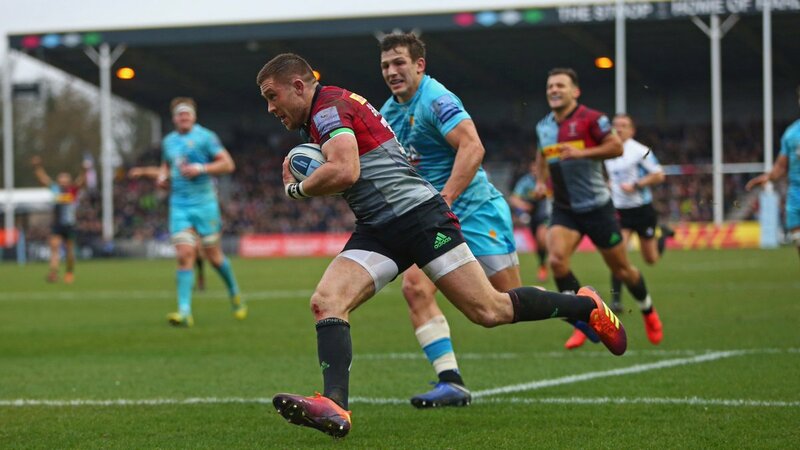 The kick through from Harlequins has allowed Joe Marchant to touch down. 😍 @natenate174 LOVES celebrating tries. 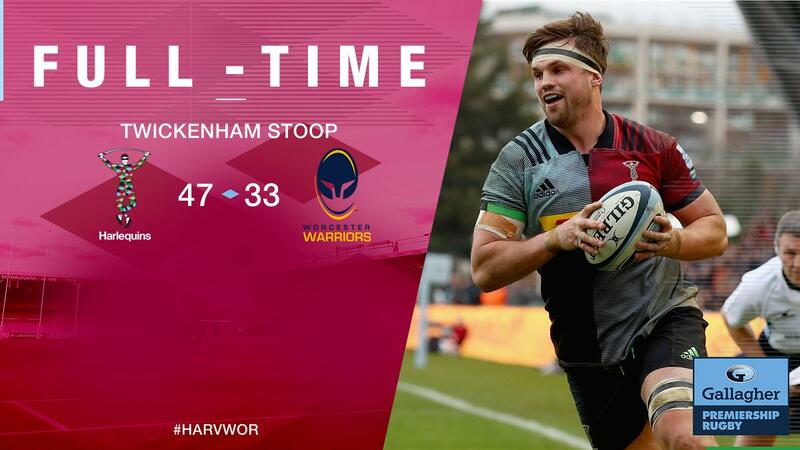 📝 MATCH REPORT | Try bonus point for Warriors in defeat at The Stoop. 👏 Not our day but a big thanks for the support here in London! 78m | Pennell on target again. 76' | TRYYYY! @langers95 dots down in the corner! 74m | Pennell adds two. @OLawrence1 slices through and @MichaelHeaney9 scores his first try. 71' | TRYYY! @benntaps gets in on the act!